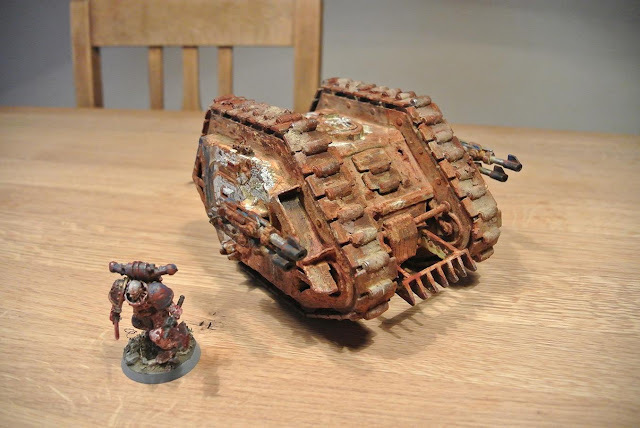 Paul here, I finished my World Eater Land Raider yesterday. 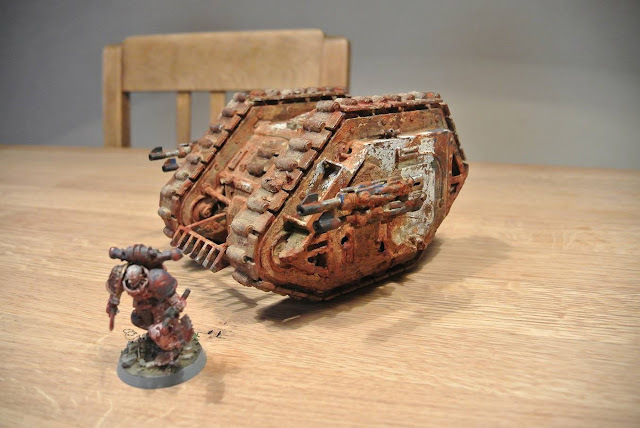 It looks really battered and at first i wanted to soak it in blood in the same way i did with my Berzerkers, blood dripping from within as if its a demon engine, but then I liked the rust so much. I imagine this to be no demonic entitiy but just a carcass of a machine, driven by its lost machine spirit. 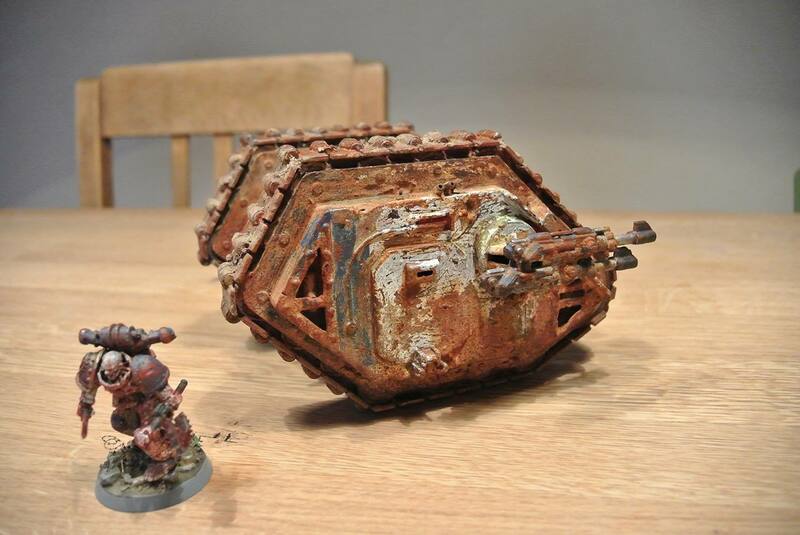 Rust for the Rust god in this case.